Formula Renault Eurocup champion Max Fewtrell will contest the Formula 1-supporting FIA Formula 3 Championship in 2019 with ART Grand Prix. 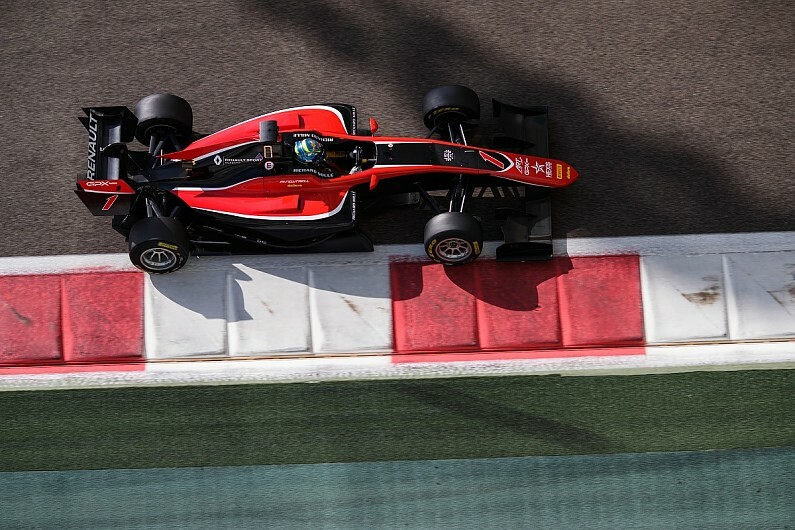 Fewtrell drove for the squad in post-season GP3 testing in Abu Dhabi last year, and has now joined one of the most successful junior single-seater outfits off the back of six wins and 11 podiums in the Eurocup. The 19-year-old - who remains part of the Renault Sport Academy - believes he can fight for wins in the series, which has a new car ahead of the first year of its transition from GP3 to FIA F3. "I'm really confident for this year, I want to be challenging for wins, I need to make a good impression on the F1 team straight away," Fewtrell told Autosport. "I need to turn a few heads by being fast straight out of the box. "Obviously Renault know its difficult to do that and I have a bit of time to adjust and learn, but I think it would really help me to be on it straight away rather than taking the whole year. "The drivers ART have had before have all gone on to do great things. "That's exciting for me and my career, and I'm really confident in the team and that I have the right guys around me to adapt to the new car." Fewtrell said he thinks he will have "a target on his head" as the reigning Eurocup champion, but is confident that pressure will not affect his on-track performance. "I think it is an added pressure because they see I have won the Eurocup championship, it's definitely a target on my head for people, to say, 'He should be good in this straight away'," he added. "It's an added pressure, but it doesn't affect me when I'm on track. "It motivates me to do better, knowing that I'm the Eurocup champion, that I can do it - I can win races in F3, so it motivates me to do better if I'm having a bad weekend. "It helps me if I'm doubting myself, [I will] try to use it as a positive." Fewtrell joins his perennial Eurocup rival last year, series runner-up Christian Lundgaard, who was announced earlier on Wednesday as his team-mate at ART. David Beckmann is the team's third driver. Lundgaard impressed in Eurocup last year, finishing second in his rookie season, and The 2017 Spanish F4 champion also stays with the Renault Sport Academy. "Formula 3 will be a challenge, but it's one I look forward to taking on, especially with the opportunity to show my ability at eight Formula 1 weekends," said Lundgaard. "I can't wait to begin." One of the spots at Fewtrell's Eurocup winning team, R-ace GP, has been filled by highly rated Caio Collet. The 16-year-old won the French Formula 4 Championship title in 2018 in his first year in cars, and now joins the team that has run drivers to the previous two titles.